Crossposted to Infrapolitial Deconstrution Collective. “Back in 2011,” the editors of this collection of essays tell us, “it came to the notice of various observers that the worldwide civil insurgencies that kicked off in Tunisia shared a set of singular features. The ‘Arab Spring,’ the Spanish indignados, the Greek aganaktismenoi and the Occupy World Street movement appeared to be leaderless and self-organized insurgencies of common citizens” (2). But the way this formulation suggests that 2011 is already half a lifetime away indicates that these “various observers” have a journalist’s rather than a historian’s sense of timing and context. Indeed, the use of the casual phrase “kicked off” to describe the outbreak of the Arab Spring–as though it were a football match or a playground fight–shows the influence of Paul Mason, formerly Business Editor for the BBC’s Current Affairs show Newsnight (now Economics Editor at Channel Four News). Mason’s 2012 book Why It’s Kicking Off Everywhere, updated a year later as Why It’s Still Kicking Off Everywhere, breathlessly compiles a series of dispatches from the frontlines of what he calls the “new global revolutions.” Mason is well-informed and smart, but it is not evident why his perspective should be setting the agenda for a volume of essays on political theory. It may be because he puts the Greek and Spanish protests front and centre: Kioupkiolis and Katasambekis are both based in Greece, and their contributors such as Marina Prentoulis and Lasse Thomassen also want to tell us about Spain and, to a much lesser extent, Occupy Wall Street. But hardly any of these writers address the Arab Spring, let alone the precursors to what happened way “back in 2011.” It is therefore hard not to feel that this is, from the outset, a shallow book, too attached to its place and its moment, too much a creature of its immediate environment. The collection treats theoretical differences in similar fashion, as a kind of spectator sport: its subtitle pits Biopolitics against Hegemony, Multitude “versus” People. In the essays themselves, this split tends to play out as a head-to-head between Italian theorist Antonio Negri and the late Ernesto Laclau. 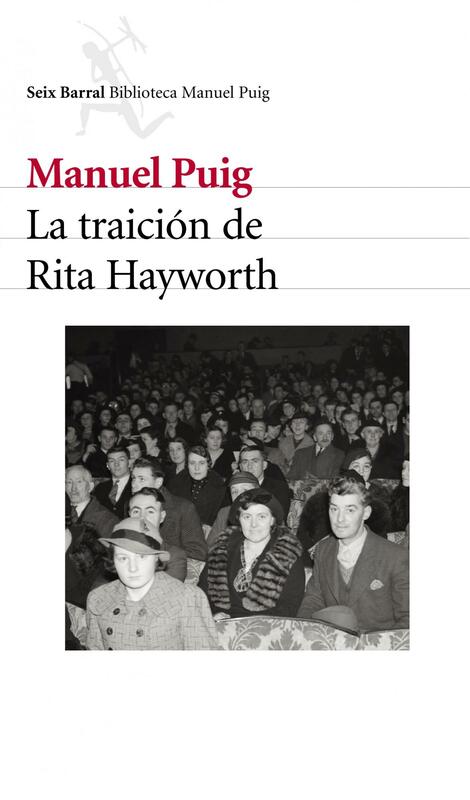 Too often, however, these antagonisms come off as rather artificial–it is worth noting, for instance, that Negri and Laclau hardly engaged with each other’s work–and they generate more heat than light as it is seldom clear what, if anything, is at stake in the contest. In fact, the essays by the collection’s editors, Kioupkiolis and Katsambekis, are among the better contributions precisely because they refuse to be seduced by the very false dichotomies that their book otherwise promotes. So Kioupkiolis prefers to “muddle the lines” by arguing that “hegemony” can and should “be radically recast beyond recognition, assuming a multitudinous form” (150); equally, then, the multitude would have to “come to grips with residues of hegemonic politics in its midst” (166). 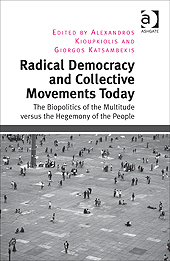 Likewise, Katsambekis suggests “that the very opposition between ‘multitude’ and ‘the people’ should be challenged,” proposing instead that we think in terms of a “multitudinous people” (172), or rather of “the inescapable slippage between multitude and people” (187). In short, instead of pitting these concepts against each other it would be better to consider the biopolitics of hegemony, and the ways in which the multitude is repeatedly converted into people even as the people continuously threaten to become multitude. Seeing them as dichotomies is unhelpful, not least because it obscures the fact that what is at stake is less some fixed opposition between different conceptions of politics, but the points of transition or transmutation between them. The key to populism, for instance, is the way in which it constructs a people and has then forever to fend off the multitude. If we simply replicate this hostility (multitude “versus” people) in our own work, all we achieve is a translation of the logic of populism to the theoretical domain. This was precisely Laclau’s failing: an inability to see beyond populism, and so to understand either what passes for hegemony or its alternatives. Fortunately, this book shows that post-Laclauian theorists have moved on from such a dogmatically reductive vision of the political. Take for instance Yannis Stavrakakis’s article on “Hegemony or Post-hegemony?” At first sight, and starting with its title (another “either/or”), this is a trenchant defense of Laclau’s legacy that takes aim at my own book, Posthegemony, as well as the work of Scott Lash and Richard Day. I will not engage in detail with his criticisms, except to note that it is odd that Stavrakakis should read my repeated and quite explicit rejections of binarism as, instead, inadvertent contradictions of some other position that I have in fact never taken. But the point is this: that precisely in establishing, however fitfully, binarism as the theoretical enemy (and here the fact that this enmity is projected onto my own work, among others, is by the by), Stavrakakis starts to open up Laclau’s legacy in interesting and productive ways. Admitting, then, that “not all [. . .] struggles are bound, sooner or later, to acquire a hegemonic form” directs our attention to the preconditions for so-called hegemonic projects and the factors that lead to “the gradual sublimation of the emerging multitude into ‘a people’” (121), all of which is what provokes a shift from hegemony to posthegemony in the first place. In this light, Stavrakakis’s only real mistake is to invoke the dialectic (“a historical dialectics of mutual engagement and co-constitution” ), as though the relationship between multitude and people, potentia and potestas, and so on, were a matter of negation (and negation of the negation) or, worse still, subject to some kind of historical or political teleology, with hegemony always destined to emerge from posthegemony. Laclau himself, with his insistence on contingency, would have been the first to reject this recuperation of Hegelianism to manage hegemony’s limitations. But otherwise I can only agree with Stavrakakis’s point that “the issue is not to radically isolate the eras of hegemony and post-hegemony” (123); this after all is the import of my own declaration, contra Lash and others, that “there is no hegemony and never has been” (Posthegemony ix). And I agree even more whole-heartedly with the argument that “discourse and affect, symbolic and real” are far from being “mutually exclusive dimensions,” and that it is therefore our task “to explore, in every historical conjuncture, the different and multiple ways in which these interact to co-constitute subjects, objects and socio-political orders” (123). It is just a pity that this book features so little of such explorations. I sympathize with the Greek anarchists to whom Richard Day and Nick Montgomery’s article is notionally addressed: they complain that Day’s book, Gramsci is Dead, is practically unintelligible. 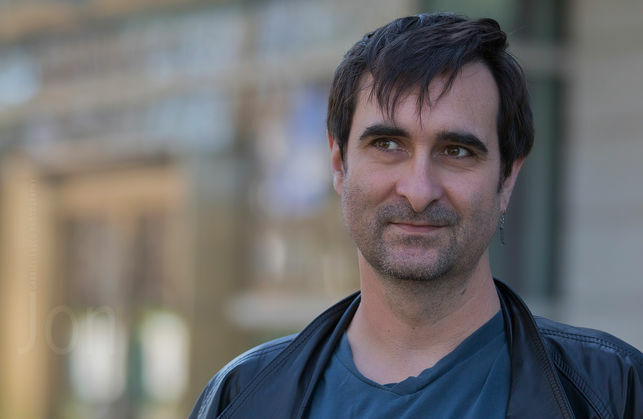 When Day replies that he was “in fact trying to write in a way that would make sense to people like them,” one of them responds: “Well, my friend, you kind of fucked up on that, didn’t you?” (45). Yet the shame is that Day and Montgomery then proceed to contribute an argument that is, of all things, meta-meta-theoretical (i.e. about meta-theory) and that has little to say about Greece or, to be honest, anywhere else. Its much-vaunted intelligibility comes down to some populist gestures, a celebration of North American indigeneity, plus a demotic defence of undecidability: “everyone is right that everyone is wrong” (67). Which can hardly help Day’s anarchist friends very much. Perhaps the best essay in this collection is Benjamin Arditi’s article on posthegemony as “Politics outside the usual post-Marxist paradigm,” which stands out not merely for the clarity of its exposition but also for its range of reference and engagement with multiple examples of social movements, from protests against Pinochet or South African apartheid to the Mexican Zapatistas or the Argentine piqueteros. The point is that, though the indignados and the aganaktismenoi may have been particularly enthusiastic in their search for political vocabularies that go beyond the platitudes of populism or the shibboleths of hegemony, they were far from the first. And the fact that (as other essays in this collection delight in reminding us) they may not have entirely succeeded in throwing off the discursive tics of more conventional politics is neither surprising nor damning. What is interesting is the ways in which these movements build on and learn from each other, as well as from what Arditi describes as a whole “range of formats of collective action that were either ignored or dismissed by the advocates of the theory of hegemony” (41). Not all of these have turned out well, not by a long shot: whether in Egypt or Argentina, Spain or the United States, the extraordinary multiplication of political experiments since the end of the Cold War (or since, say, Venezuela’s Caracazo of February, 1989) has had as many dead ends as live wires, as many disappointments and setbacks as promising advances. Still, something always escapes. There is no teleology or predetermination here: neither Negri’s eschatology of the multitude nor Laclau and Mouffe’s infinite expansion of radical democracy. But there is plenty to remind us that politics (and surely, political theory) is rather more than a spectator sport. For better or for worse, as biopolitics it is life itself, and always has been.